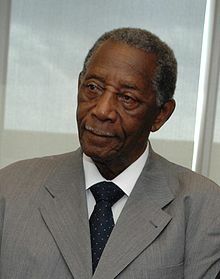 James Charles Evers (born September 11, 1922) is an American civil rights activist. In 1969, he became the first African American since the Reconstruction era to have been elected as mayor in a Mississippi city. He served as mayor of Fayette in Jefferson County. Thereafter, he ran for governor in 1971 and the United States Senate in 1978. He ran both times as an Independent candidate. This page was last changed on 30 August 2017, at 23:00.